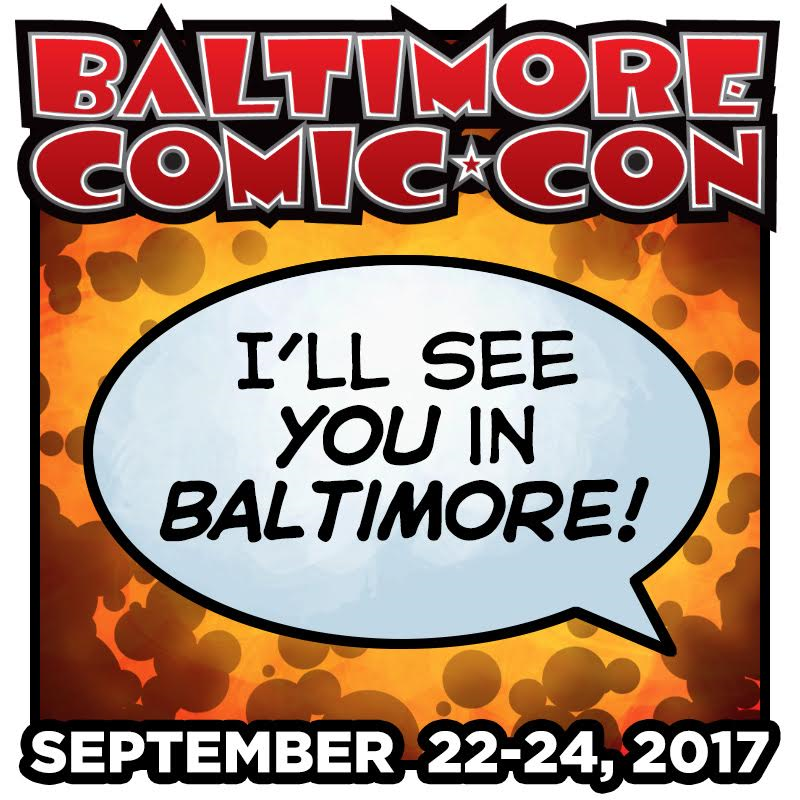 Con News: Baltimore Comic-Con tix discounted for Black Friday! Tis the season to be shoppin’! Yeah; am I the only one who looks at Black Friday and thinks “what convention tickets are on discount”? Well, there’s one that’s putting that discount info out to fans. Baltimore Comic-Con will be discounting tickets from Black Friday to Christmas. Sweet, right? Read on for the full deets! BALTIMORE, MARYLAND – November 23, 2016 – The Baltimore Comic-Con is pleased to present our fans with an early holiday gift — tickets will be on sale from Black Friday to Christmas at a discount rate for next year’s show, taking place the weekend of September 22-24, 2017 at the Baltimore Convention Center in downtown Baltimore. As always, children 10 and under are free for general admission with a paid adult general admission! * VIP packages are a separate purchase from General Admission tickets (which will be required to participate in any VIP offerings). VIP ticket holders receive exclusive early admission to all 3 days of the show, as well as a gift package that includes a show t-shirt, the 2017 Baltimore Comic-Con yearbook, and more! Visit www.baltimorecomiccon.com/tickets/ for more information and to purchase your advanced tickets! This entry was posted in Convention-al and tagged Baltimore Comic-Con, Convention News. Bookmark the permalink.